View more information on the first edition of Alan Manly's book "When There Are Too Many Lawyers... There is no Justice" known as "One One Five"
One One Five "When There Are Too Many Lawyers...There Is No Justice." 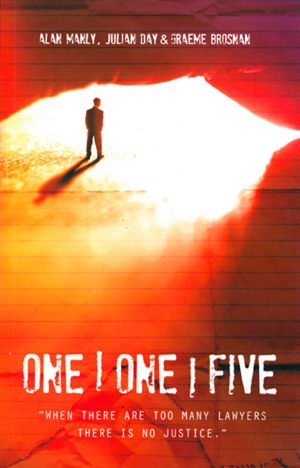 One One Five was the first edition of "When There Are Too Many Lawyers...There Is No Justice."